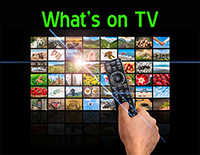 Click here to see electric, gas and water rates. Click here to read the Electric Service Rules. The municipal electric utility was established by public vote in 1891 and has served Harlan for over 125 years. In 2014, HMU became one of a few Public Power communities across the nation to receive the Reliable Power Provider (RP3) designation from the American Public Power Association. The RP3 designation recognizes public power utilities that demonstrate proficiency in the four key areas of reliability, safety, workforce development and system improvement. HMU's first electric plant, a direct current (DC) generating system, was installed in 1891. This system was replaced in 1929 by an alternating current (AC) electric generating system consisting of 6 Fulton Diesel generators with a total output of 6.4 Megawatts (Mw). Most of our electricity comes from the Federally managed Western Area Power Administration (WAPA) hydro-electric generators on the Missouri River in South Dakota. HMU owns 5.6 MW of power produced by the Louisa Generating Station (LGS) in Muscatine, Iowa. This power is available for HMU customers, as needed, or we can sell it on the open market to other communities. HMU also owns two on site diesel generators for use on hot days when the demand for electricity is high. There are four substations supplied with transmission voltage of 69,000 volts in Harlan. The substations then reduce or "step down" the voltage to a distribution voltage of 12,470 or 4,160 volts. The distribution voltage is then stepped down to voltages commonly used by customers. We supply residential and commercial voltages of: 120-240 single phase, 240 volt 3-phase, 208 volt 3-phase, 480 volt delta, and 480 volt wye. Over one-half Harlan's distribution system is underground. Burying utility lines has been the subject of increasing attention in recent years both by engineers who see this as a means of increasing reliability at an acceptable incremental cost, and the general public who view it as a means of improving community appearance. 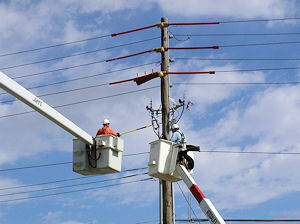 New developments in cables and construction methods have made modernization of electrical utilities possible. Further refinements will attest to the economics and desirability of placing facilities underground. 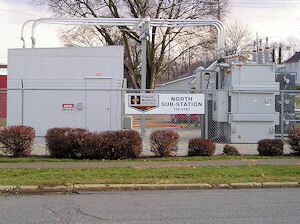 Outage time is reduced by having four interconnected substations. If a problem occurs in one part of Harlan, our highly trained employees can find the problem, isolate it and re-route power to customers. Harlan has approximately 10 miles of fiber optics used to help monitor substation functions and power flow. Monitoring the distribution system allows us to quickly diagnose outages and to be more efficient in responding to outages. 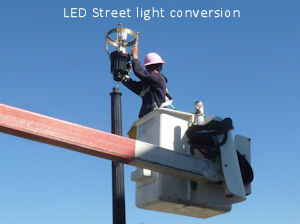 HMU has made a commitment to installing high efficiency LED lighting in all streetlights as a way to lower energy and maintenance costs.